Supersize your Google experience with the Pixel 3 XL. Enjoy your favourite HD content on the huge 6.3 inch display, including your own photos and videos taken on the 12.2MP camera. You can also stay powered up for longer thanks to fast-charge technology and an all-day battery. £711 total cost over 2 years What's This? £724 total cost over 2 years What's This? £822 total cost over 2 years What's This? £827 total cost over 2 years What's This? £845 total cost over 2 years What's This? 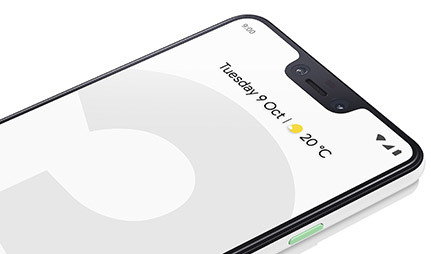 Enjoy your favourite blockbuster content on the Google Pixel 3 XL, which features a supersized display measuring a huge 6.3 inches. Movies, games and web browsing are all crystal clear on the QHD+ screen, while an always-on display means important info is still displayed while the handset is asleep. 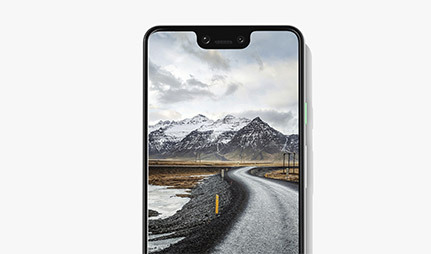 Combining a metal frame to the rear with a Gorilla Glass 5 front, the Google Pixel 3 XL is both sturdy and durable. Also boasting an IP68 water resistant rating, you won't have to worry about everyday spills, splashes, or getting caught in the rain. 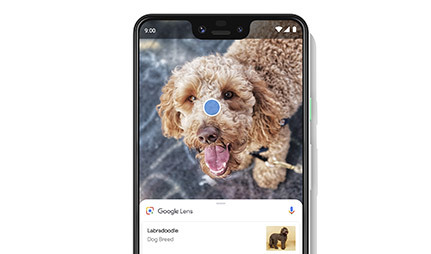 Built for selfies, the Google Pixel 3 features an impressive 8MP front facing camera, complete with Group Selfie feature. When it comes to photographing faces, there's Portrait Mode and Top Shot to ensure you always capture the perfect smile, complete with professional photographer effects. To the rear of the handset is a 12.2MP camera, bursting with smart technologies. Combining a speedy autofocus with both optical and electronic image stabilisation, you can be confident of pin-sharp results every time. What's more, you'll never run out of space, thanks to free unlimited online photo storage. With heaps of power on board you can be sure of a smooth experience on the Pixel 3 XL. There's a Snapdragon 845 processor for all your multi-tasking needs, as well as a fast-charge battery for when you need to power up in a hurry. And with wireless charging capabilities, there's no need to get caught up in a tangle of wires. Google Assistant and Google Lens are both present to deal with your every query. Google Assistant can provide voice-activated assistance on a range of topics such as traffic updates and weather reports, while Google Lens utilises the handset's camera to identify and offer extra info on a range of sights. Can't decide between the Google Pixel 3 and Pixel 3 XL? We compare the specs to help you choose. Overall the phone is simply amazing. The quality of images it can capture from its single lens best my previous phone (iPhone X). The build quality is on par with apple of old and the Google services are better. Very happy after switching from iPhone.